Our grants provide funding to people, projects and research that aim to improve the capacity and effectiveness of the NSW cancer sector. Since 2004, the Institute has invested more than $200 million in NSW cancer research. Grants previously or currently funded by the Cancer Institute NSW are detailed below. You can view our grants that are currently open for application in the Open grants section. Sign up for our monthly newsletter to get the latest cancer news delivered straight to your inbox. The objective of these grants is to undertake service-centred initiatives that have the potential to be embedded in the health system and remain sustainable past the funding period. The Tobacco Control Grants specifically target organisations that work with Aboriginal and/or Culturally and Linguistically Diverse (CALD) communities. 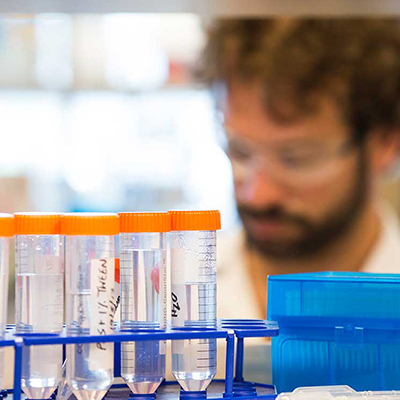 Grants are provided within the Research Infrastructure Program to ensure the capacity and quality of cancer research continues to expand in NSW. The Career Support Program is focused on attracting new cancer researchers to NSW, and supporting existing researchers to become more skilled and internationally competitive. Funding of translational cancer research ensures the research discoveries are translated into real life public benefit. The Institute supports clinical trials by providing the funding for resources, infrastructure and personnel within trial units and research institutions across NSW. Health and community organisations working in cancer control can receive funding to implement initiatives for those at high-risk of cancer.